Are you wondering why it’s worth editing your life, or whether doing less = being lazy? Episode 3 of Edit Your Life answers the question Why Edit Your Life? 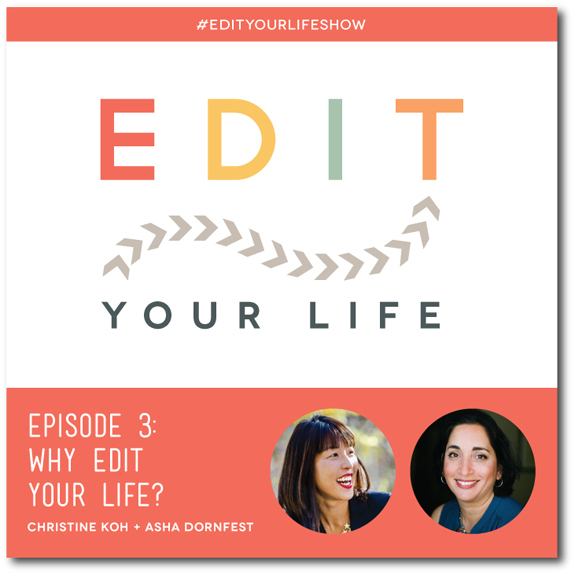 Asha and I address why it can be hard to edit your life, how the journey is different for everyone, and why editing your life is necessary, doable, and totally awesome. We hope you'll be convinced to hop on journey with us! And take a listen to our episodes on simplifying back to school and conquering procrastination! Tell us one thing you’ve added to -- or edited out of -- your life! 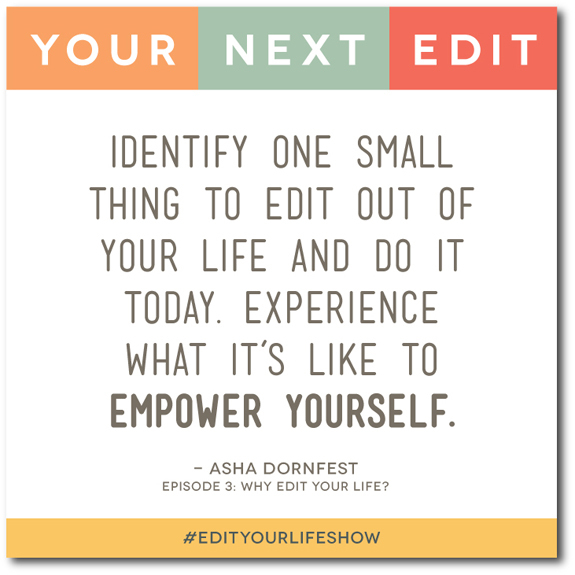 Share via your favorite social profile with the hashtag #EditYourLifeShow, at the Edit Your Life Facebook page, or e-mail us at edityourlifeshow@gmail.com. 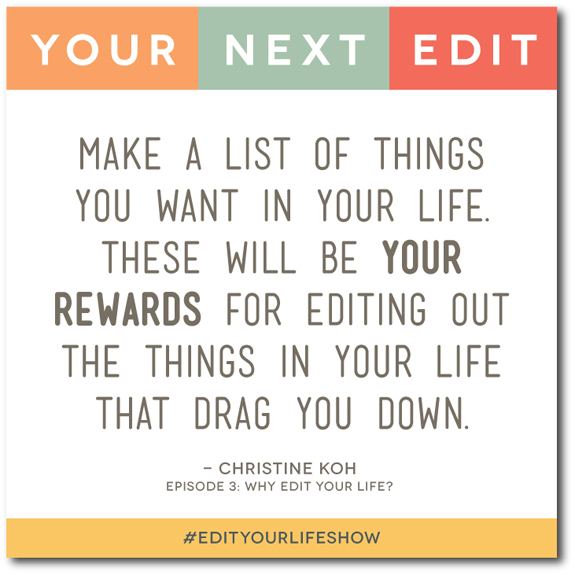 Also, we’d be so grateful if you’d leave a review for Edit Your Life on iTunes! We’ve got an awesome range of lifestyle/parenting topics in the queue for future episodes. If you’d like to discuss episode sponsorship, drop us a line at edityourlifeshow@gmail.com!